Sarit Shani Hay constructed a powerful scene of African landscape for the Zulu Exhibit. Black rocks and a canoe leaning against them surround a beastly battlefield: four dead deer lie with legs apart, their branched antlers on the ground. 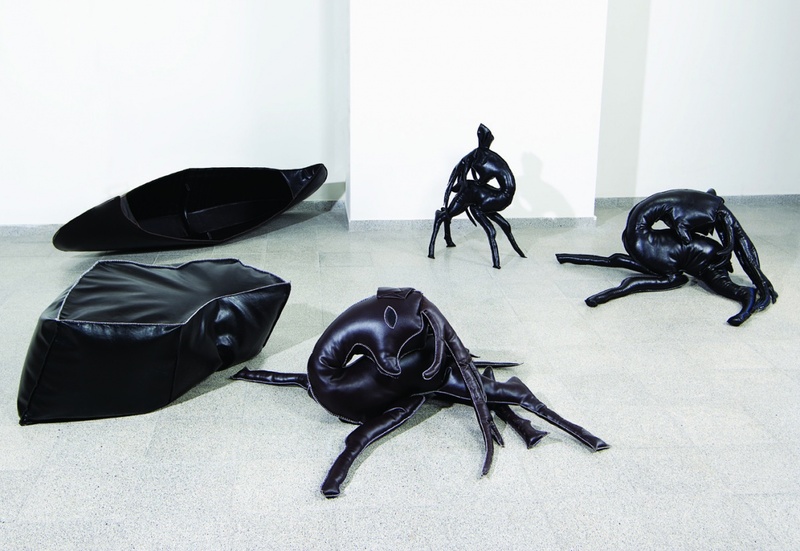 In contrast to the masculine erectness of the buck’s antlers on the deck of Yuval Shaul’s battleship, Shani Hay portrays the total collapse of the buck, which signifies, most of all, the tragedy and drama of the hunt. The fallen antlers and the body twisted in a death twitch on the floor in Shani Hay’s installation call to mind the dead stag in Gustave Courbet’s 1857 painting The Quarry. The body’s majesty reinforces its collapse into death. Shani Hay’s sculpture involves soft materials. 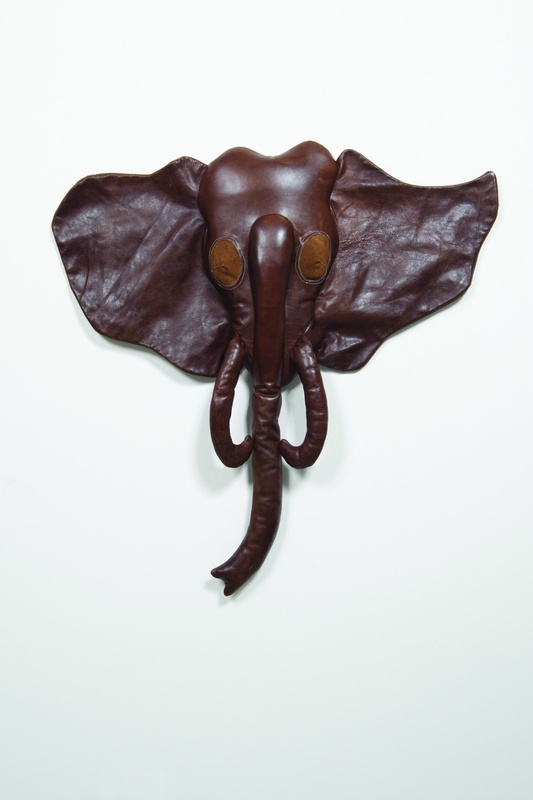 She cuts black or brown leatherette, stitches the ends together, sealing them with embroidery. Her use of the material, however, even when designing the embroidery stitch, is far from the soft aesthetics of women’s art prevalent in recent decades. Shani Hay cuts into the black leatherette as if she were carving in stone. Her lines are sharp and clear, and the sewing is matter-of-fact and devoid of all ornament. The acuteness of the design and the black monochrome charge the total collapse into death with a tragic festivity.